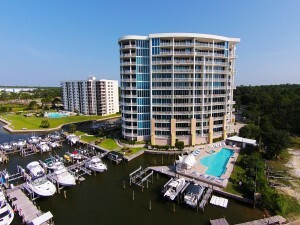 Having spent a great deal of time every summer on the back bays of Orange Beach, I have always been partial to the Orange Beach condos with boat slips over your typical gulf front unit. Yet, there is more to it for me than just the boat slip. I think the view has way more to offer. 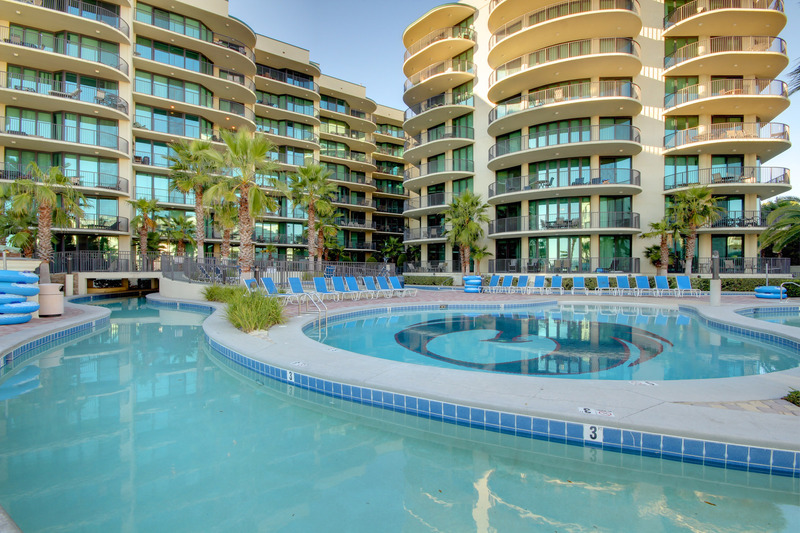 Yes, the sound of the waves and a view of the Gulf of Mexico as far as the eye can see is very relaxing but what happens to that view at night? 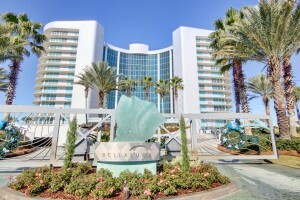 If you are in a condo unit a little bit off the beach and looking out over the bay, bayou or river, then you not only get the view of the brilliant Alabama Coastline, the boats heading in and out through the pass, the dolphins swimming between the channel markers but also a view of the lights from the surrounding homes and condos illuminating the thick salty air. 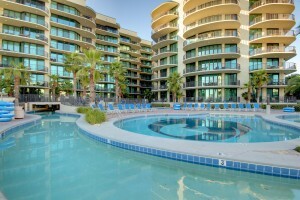 The boat slip is icing on the cake in my opinion, as it gives you a more well-rounded vacation experience. You can take the boat to any of the popular local beaches and find your place among the crowd or if you are more in the mood for a little solitude, I would suggest a short ride east into Florida. There are miles of quiet stretches of beach in the Perdido Key Area. If you head a little deeper into the bay towards Pensacola, you will even find spots where you can walk across about 200 to 300 yards of sandy peninsula to a desolate stretch of gulf beach. This is one of our favorite things to do when we aren’t out fishing and we are not in the mood for crowded local boating spots, like Robinson Island. We can anchor on the bay side, fire up the grill and walk along the beach with the kids hunting hermit crabs and driftwood or we can walk through the sand dunes over to the gulf, where my little boy loves to the waves on his boogie board and our little girl enjoys splashing in the surf and combing the beach for precious sea shells. There are lots of neat local hangouts to visit by boat as well. One of our favorite spots is Pirate’s Cove, with arguably the best cheeseburgers and bushwhackers on the Alabama Gulf Coast! This spot is super popular with the locals and there is a very small stretch of beach for boat parking, so I would advise you to plan on arriving before 11:00 a.m. There is marina parking available as well but a spot on the beach, means you can hang out in the water before and after lunch. The Flora-Bama Yacht Club also offers a small stretch of beach for boat parking and lounging. You can also walk across the street to main landmark affectionately called “The Bama” and sip on a cold one and enjoy some live music and the gulf breeze. 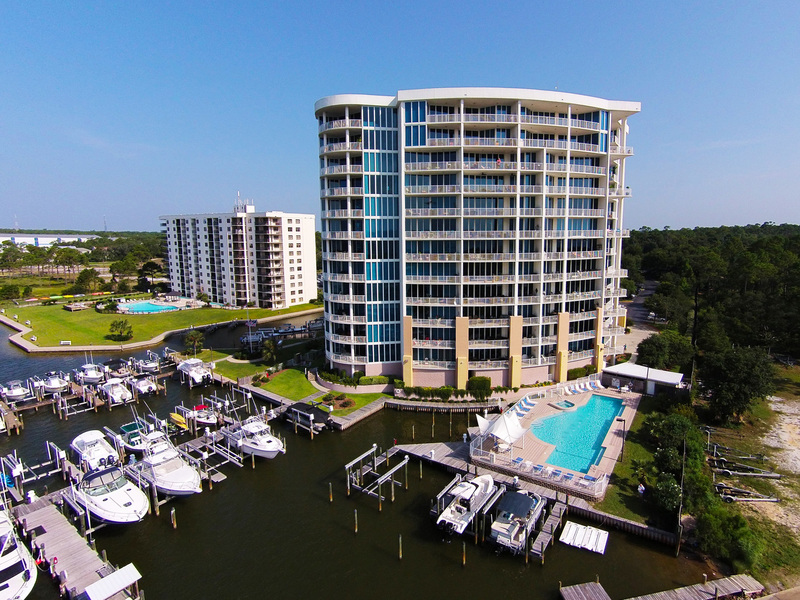 For a guided tour of your favorite Orange Beach Condo with boat slip for sale, call the sales team for Jason Will Real Estate at 251-866-6464.